Death Wish is by Brian Garfield and is due to be published in March 2013. Successful New York accountant Paul Benjamin is enjoying a three-martini lunch when a gang of drug addicts breaks into his home. After finding very little in the way of money, they brutally attack Paul's family, killing his wife and leaving his daughter comatose. Grief-stricken and aware that the police are unable to bring the criminals to justice, he decides to take matters into his own hands. Armed with a revolver and a self-destructive compulsion, he sets out to rid the city of its villains and exact revenge on those who destroyed his life. First published in 1972 and later adapted into five films starring the late Charles Bronson, Death Wish is an unflinching, powerful thriller about just how far a man can be pushed before he loses control. On VE night, 1945, the then teenage princesses, Elizabeth and Margaret, were allowed to leave the palace incognito and join the parties and festivities with their subjects - pretending to be ordinary people for the first and only time in their lives. Peter Bradshaw takes this nugget of history as the basis for this brilliantly comic crime thriller. Princess Margaret steals a policeman's hat, and Elizabeth encounters London's criminal underworld. 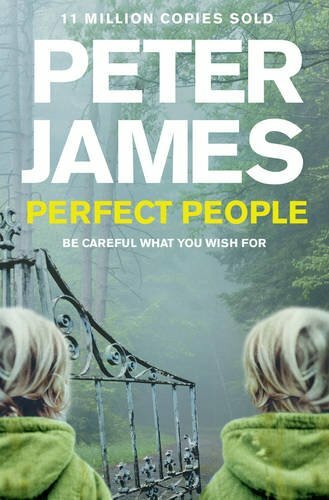 The future Queen must use all her wit and courage to get out of a very sticky situation - With sharp but affectionate humour, this is an enjoyable fictional crime caper and is sure to attract comment. 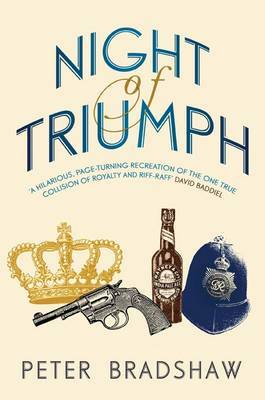 Night of Triumph is by Peter Bradshaw and is due to be published in January 2013. Duckworth Overlook are due to have a major re-launch for Charles McCarry. 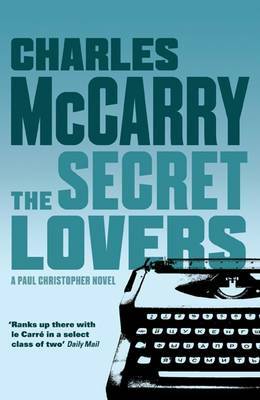 The books that are due to be re-issued include The Secret Lovers, which is due to be published in January 2013. Early one morning in West Berlin, a nervous courier delivers the handwritten manuscript of a dissident Russian novel to agent Paul Christopher; minutes later, the courier's spine is snapped by an impact with a passing limousine. Meanwhile in Rome, Christopher's wife Cathy takes a lover in an attempt to stir her husband's stoicism. These two seemingly discrete events set in motion a spiral of operational and personal intrigue that leads Christopher from Europe to Africa, as he secretly arranges the publication of a book that could bring the Soviet Union to its knees and races to identify the leak that compromised his messenger - and possibly the entire mission. In The Tears of Autumn Paul Christopher, at the height of his powers as a secret agent, believes he knows who arranged JFK's assassination. But his theory is so destructive of the legend of Kennedy and so dangerous to the survival of foreign policy that he is ordered to drop his investigation. But Christopher is a man who lives by and for the truth, and his internal compunctions force him to the heart of the matter. The Tears of Autumn is due to be published in March 2013. Second Sight is due to be published in May 2013. Spy Paul Christopher, now retired and living a normal life in Washington, is brought back into 'the Outfit' when his old friend comes to him with a worrying development: someone is kidnapping U.S. agents and pumping them full of a new mind-control drug. It is up to Christopher to work out who is behind this insidious form of warfare and what the enemy is doing with the extracted information. Already available now is Old Boys. 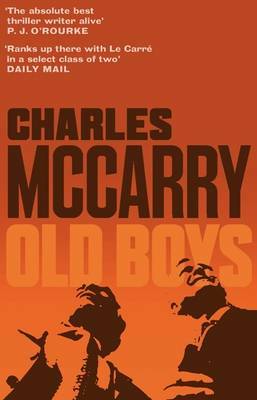 When Horace Hubbard's cousin, Paul Christopher, goes missing and is presumed dead, the CIA 'old boys' come out of retirement to help find one of their former colleagues, one of their own. Hunting, and being hunted, from Xinjiang to Brazil, Rome, Tel Aviv, Budapest and Moscow, the old pros, along with Christopher's beautiful daughter Zarah, search for their comrade and the answers to his disappearance. "Old Boys" is, at heart, a lament for a dying generation of American spies. 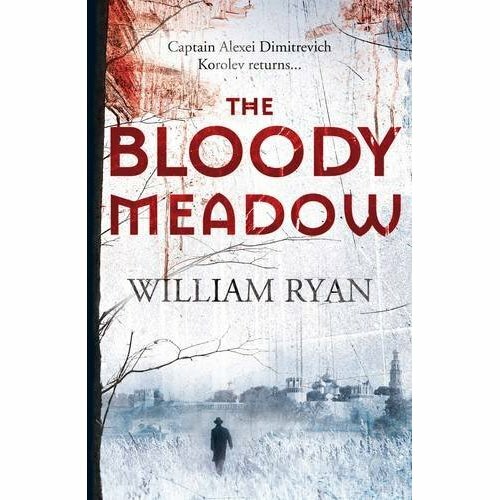 With its almost indescribable plot of Chinese forced-labour camps, sundry ex-Nazis, ex-KGB men and double-crossers galore, it is a great tribute to McCarry's skill and excellent writing that he manages to carry the action-filled plot, and have the reader carried willingly with him. 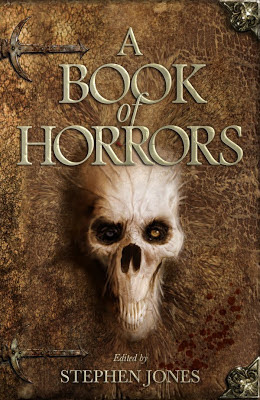 In autumn 2013 Christopher’s Ghosts, Shelley’s Heart and The Better Angels are due to be published. Following Peter James’ recent presentation of Deadly Pleasures Magazine’s Barry Award for DEAD MAN’S GRIP [for best British Novel] at Bouchercon Cleveland last month, we’re delighted to hear that James’ techno-thriller Perfect People has been shortlisted for an award, the Wellcome Trust’s celebration of medicine in literature 2012. 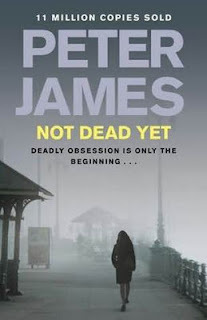 A surreal journey of ethics, science, and religion – and as far away from the dark alleyways of Roy Grace’s Brighton as one could get, but a blindingly hot read set at the edges of our reality and indicative that Peter James can carve a thriller as tortuous as the DNA Double-Helix – In a word, remarkable. Brighton has become the location for a huge Hollywood blockbuster, featuring the diva Gaia Lafayette [a combination of Madonna and Lady Gaga], now resident in America but who grew up in the more humble origins of Council Estate Brighton. Lafayette’s role is in a historical thriller that should get her an Oscar for her mantle-piece and move her into the world of film. Grace is under pressure from the fifth floor to ensure nothing goes wrong in Brighton while the film crew is in town. This is especially critical when they discover that Lafayette has some obsessive fans, including a stalker. Grace’s attention and that of his partner Branson is caught when a connection to a dead body [torso only] is discovered in a chicken farm. The connection being to Lafayette. Despite the density of the plot which features James’ trademarked multi-viewpoints, reptilian like plotline that snakes toward an unseen climax - it reads remarkably fast due to close to 150 ‘clipped’ chapters, many very terse, but all leading to a scary finale in Brighton’s Royal Pavilion. 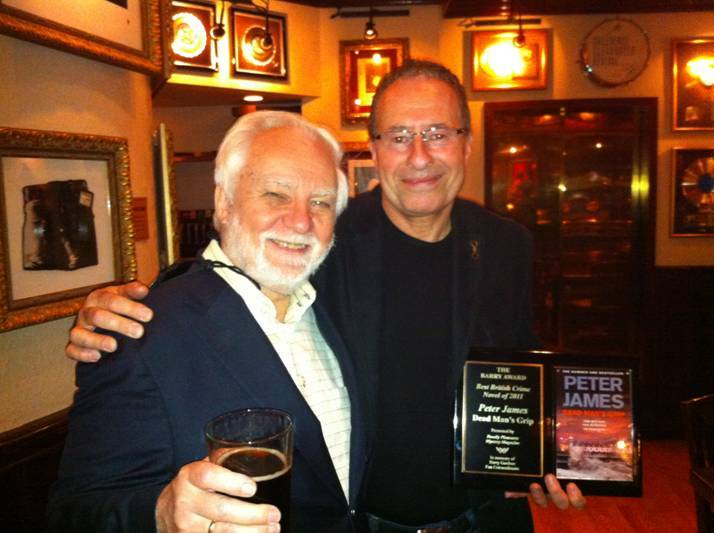 Photo (c) 2012 A Karim taken at Bouchercon Cleveland, Ohio - ‘Otto Penzler with Peter James at The Atlantic Books Cocktail Party', following Peter James’ Barry Award 2012 Presentation at Cleveland’s Rock and Roll Hall of Fame. 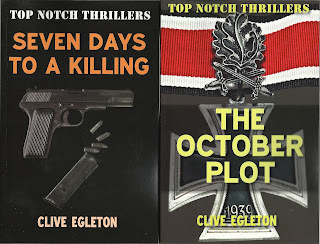 The latest Top Notch Thrillers for October 2012 are the two books which shot Clive Egleton into ‘the Alistair Maclean bracket’ in 1973 and 1974. 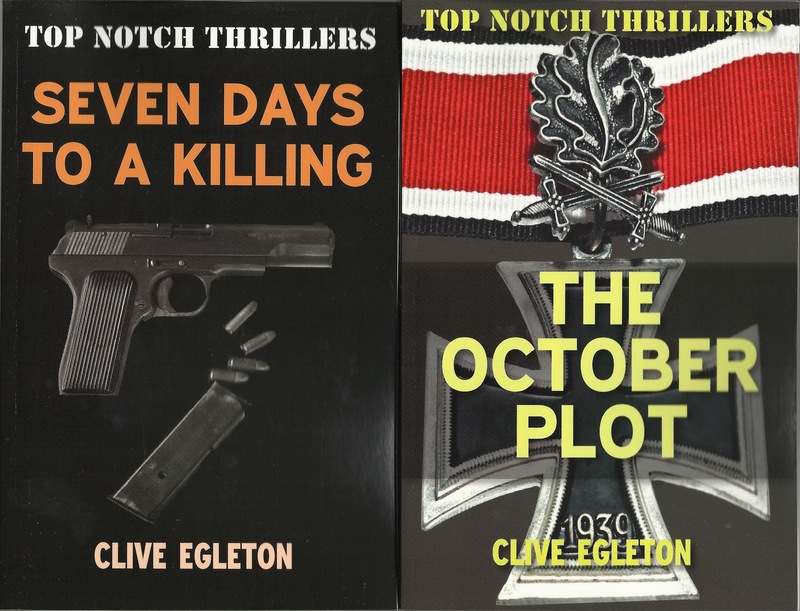 A career British army officer retiring with the rank of Lt-Colonel thirty years after enlisting (underage) in the Royal Armoured Corps on D-Day in 1944, Clive Egleton (1927-2006) began writing thrillers whilst still a serving officer. SEVEN DAYS TO A KILLING was his fourth published novel and the film rights were snapped up on first publication by director Don Siegal fresh from his box-office hit Dirty Harry. With a cast including Michael Caine, Janet Suzman and Donald Pleasance, the film version was renamed The Black Windmill after Siegal took the decision to shoot the climactic gunfight at the famous Claydon Windmills on the Sussex Downs. The success of Seven Days and The Black Windmill allowed Egleton to retire from the army and become a full-time writer and his next novel, THE OCTOBER PLOT, became a huge international bestseller as a World War II thriller to rank alongside Where Eagles Dare and The Eagle Has Landed. Known in America as The Bormann Brief, the book is a detailed description of an attempt to assassinate Hitler’s Deputy Martin Bormann in 1944, in the wake of the failed July Bomb Plot. Clive Egleton went on to write more than forty novels. Seven Days To A Killing and The October Plot are the first of his titles to be reissued as Top Notch Thrillers, the print-on-demand and e-book imprint of Ostara Publishing which is dedicated to reviving Great British thrillers which do not deserve to be forgotten. In three years of operation, Top Notch Thrillers have published 28 titles, including novels by authors such as Geoffrey Household, Duncan Kyle, Francis Clifford and Victor Canning. Full details of all titles can be found on www.ostarapublishing.co.uk. In the final part of Alan Glynn’s spectacular loose trilogy of conspiracy thrillers, someone is assassinating the most powerful players in the global financial markets. A Wall Street investment banker is shot dead while jogging in Central Park. Later that night, one of the savviest hedge-fund managers in the city is gunned down outside a fancy Upper West Side restaurant. Are these killings part of a coordinated terrorist attack, or just coincidence? Investigative journalist Ellen Dorsey has a hunch that it’s neither. Days later, when an attempt is made on the life of another CEO, the story blows wide open . . . Racing to stay ahead of the curve, Ellen encounters Frank Bishop, a recession-hit architect, whose daughter has gone missing. The search for Lizzie and her boyfriend takes Frank and Ellen from a quiet campus to the blazing spotlight of a national media storm – and into the devastating crucible of a personal and a public tragedy. Meanwhile, lurking in the shadows once again is James Vaughn, legendary CEO of private equity firm the Oberon Capital Group. Despite his failing health, Vaughan is refusing to give up control easily, and we soon see just how far-reaching and pervasive his influence really is. Set deep in the place where corrupt global business and radical politics clash, Alan Glynn’s Graveland is an explosive and hugely topical thriller and is due to be published in June 2013. Norwegian by Night is the debut novel by Derek B Miller and is due to be published in February 2013. He will not admit it to Rhea and Lars – never, of course not – but Sheldon can’t help but wonder what it is he’s doing here . . .Eighty-two years old, and recently widowed, Sheldon Horowitz has grudgingly moved to Oslo, with his grand-daughter and her Norwegian husband. An ex-Marine, he talks often to the ghosts of his past – the friends he lost in the Pacific and the son who followed him into the US Army, and to his death in Vietnam. When Sheldon witnesses the murder of a woman in his apartment complex, he rescues her six-year-old son and decides to run. Pursued by both the Balkan gang responsible for the murder, and the Norwegian police, he has to rely on training from over half a century before to try and keep the boy safe. Against a strange and foreign landscape, this unlikely couple, who can’t speak the same language; start to form a bond that may just save them both. An extraordinary debut, featuring a memorable hero, Norwegian by Night is the last adventure of a man still trying to come to terms with the tragedies of his life. Eleven Days is the second in his acclaimed Carrigan and Miller police procedural series and is due to be published in June 2013. In Eleven Days Stav Sherez conjures up a terrifying mystery. A fire rages through a sleepy West London square, engulfing a small convent hidden away among the residential houses. When DI Jack Carrigan and DS Geneva Miller arrive at the scene they discover eleven bodies, yet there were only supposed to be ten nuns in residence. It’s eleven days before Christmas, and despite their superiors wanting the case solved before the holidays, Carrigan and Miller start to suspect that the nuns were not who they were made out to be. Why did they make no move to escape the fire? Who is the eleventh victim, whose body was found separate to the others? And where is the convent’s priest, the one man who can answer their questions? Fighting both internal politics and the church hierarchy, Carrigan and Miller unravel the threads of a case, which reaches back to the early 1970s, and the upsurge of radical Liberation Theology in South America – with echoes of the Shining Path, and contemporary battles over oil, land and welfare. Meanwhile, closer to home, there’s a new threat in the air, one the police are entirely unprepared for. Spanning four decades and two continents, Eleven Days finds Carrigan and Miller up against time as they face a new kind of criminal future. 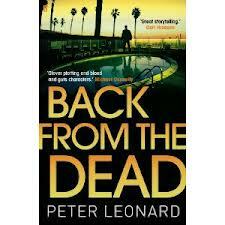 Back from the Dead is by Peter Leonard and is due to be published in January 2013. Bahamas, 1971, and Ernst Hess, missing presumed dead, regains consciousness to find himself stuck in a hospital bed on a strange ward in a foreign country . . . The follow-up to the acclaimed Voices of the Dead, Back from the Dead pitches us and the gang – Harry, Cordell, Colette and Joyce – back into a desperate fight to the death, which moves from the Bahamas to Florida, and from Germany to the South of France, as their worst fear comes back to haunt them. Whip-smart, action packed and darkly funny, the second part of Peter Leonard’s glorious two-hander packs some serious punch. The summer of 1941. Russia has been invaded. As Hitler’s forces smash into Soviet territory, annihilating the Red Army divisions in its path, a lone German scout plane is forced down. Contained within the briefcase of its passenger is a painting of a hyalophoria cecropia, otherwise known as a red moth. Military Intelligence dismisses the picture as insignificant, but Stalin suspects a German plot. He summons his old adversary, Inspector Pekkala – the elusive Finn who was once Tsar Nicholas II’s personal detective – to discover the real significance of the red moth. As the storm gathers around him, Pekkala soon finds himself on the path of the most formidable art thieves in history, whose real target is a secret and prized possession of the Romanovs, once considered to be the eighth wonder of the world. However, as the Soviet Union crumbles in the face of the advancing cataclysm, Pekkala realizes that to protect the Tsar’s treasure he must break through enemy lines in a desperate mission to outfox the German invaders, or face the wrath of Stalin himself. The Red Moth is the fourth book in the series to feature Inspector Pekkala by Sam Eastland and is due to be published in February 2013. ‘It’s just to say that no-one has come to pick Nathan up from school, and we were wondering if there was a problem of some kind?’ As Mark Douglas photographs a pod of whales stranded in the waters off Edinburgh’s Portobello Beach, he is called by his son’s school: his wife, Lauren, hasn’t turned up to collect their son. Calm at first, Mark collects Nathan and takes him home but as the hours slowly crawl by, he increasingly starts to worry. With brilliantly controlled reveals, we learn some of the painful secrets of the couple’s shared past, not least that it isn’t the first time Lauren has disappeared. And as Mark struggles to care for his son and shield him from the truth of what’s going on, the police seem dangerously short of leads. That is, until a shocking discovery . . . Gone Again is by Doug Johnstone and is due to be published in March 2013. It was thanks to Film Producer / Director Barry Ryan [Free@LastTV] and bestselling crime author Martina Cole of Two Queens Productions that I found myself at Stratford East’s Theatre Royal last week. I had been invited to view Patrick Pryor’s adaption of Martina Cole’s debut novel, the 1992 London Gangster saga that is ‘Dangerous Lady’. This was a risky venture for the playwright and the team he assembled at the East End’s renowned theatre in Stratford, now highlighted on the map as the epicenter of London 2012’s Olympic and Para-Olympic venue[s]. The other issue the Stratford team had to overcome is the knowledge that Dangerous Lady, was the novel that 20 years ago transformed single mother Martina Cole into one of the UK’s biggest selling crime writers. Cole is again riding high in the media’s zeitgeist with her 19th novel THE LIFE in the bestsellers, as well as her various TV adaptations and real-life crime shows she fronts on Sky TV. The production of Dangerous Lady follows plot of Martina’s debut novel faithfully, but is [by necessity] a distillation of this dark cautionary tale. The theme is the allegiances and betrayal in a blue collar criminal family, set against the relationships between the corruption with the police and societies upper echelons. The process of paring down the narrative is done with the precision of surgeon’s scalpel as the play loses none of the novel’s grit, nor humor, an essential aspect of the narrative to keep this dark tale from tipping over the edge; because there is some real darkness below the surface of this tale of family moralities and the 1960’s London Underworld. It opens with the birth of Maura Ryan to Irish Matriarch Sarah Ryan. Maura, being Sarah’s only daughter to her sons Michael, Geoffrey and Anthony Ryan. When their father leaves Sarah and his brood penniless in post-war London; elder brother Michael Ryan takes it upon himself to provide for the family, but from the illegal black-market side of 1960’s London, building up a ruthless criminal network of vicious protection rackets, prostitution, strip-bars, drugs and petty [and not so] petty crime. Matriarch and firm Irish Catholic, Sarah Ryan tries to get the church involved in trying to put Michael and the brothers back into the law-abiding side of the street, only to find the local priest is a conduit for the IRA [and with an agenda that Michael Ryan can help with]. As wonderful as the cast are, some playing multiple roles, the real star of the show is the stage and production. We have extraordinary lighting, smoke, rear projections of the club-land’s neon strip-lighting, and the plate glass friezes of church-windows and evocative music that just makes the proceedings flow like wine down a thirsty gullet. The two-tier, moving-tracked stage is marvelous to watch as it allows the play to flow through the audience like deadly vignettes, that cut through the density of the narrative, distilling it to the core, without losing the richness and depth of the novel. The first act, closes on the pivotal scene that marks Maura Ryan’s future, and illustrates the moral corruption that religion can cast over people when used to forward an agenda. This scene is as graphic as I've seen in the theater and though truly horrific to watch, such is the intensity in which it is offered to the audience who see the proceedings right in their faces. One can never state that it is a gratuitous scene, nor one that is titillating, far from it. This scene is as hypnotic as it is essential for the narrative - as this last scene, before the intermission is the key that turns in Maura Ryan’s lock transforming her from a sweet, naive young girl into something more akin to a hybrid of Tony Montana [‘Scarface’] and Larsson’s troubled protagonist - Lisabeth Salander. The second act relays the journey that Maura and her family traverse as she takes on the mantle of the family crime business, standing side by side with her older brother Michael Ryan. Naturally the shadow this casts over younger brothers Geoffrey and Anthony will have deadly consequences for Maura as well as her beloved Michael, as well as her relationship with her mother, the increasingly unhinged Sarah Ryan. I did wonder how a theatrical production would tackle the tense bullion robbery that Cole placed at the centre of her novel; but I needn’t have fretted, as I was totally blown away by the way they managed to keep the audience on the edge of their seats. Loud staccato gunfire, light flashes and sirens tore through the theatre as the bullion raid was recreated to nerve-shredding effect. I found myself ducking for cover several times to ensure I was not hit by stray gun-fire that seemed to strafe the audience. Then as the play reaches its climax, we see the consequences that Maura and the Ryan family face from the law, as well as the IRA, all due to the choices they have made, many of which they had little control over. 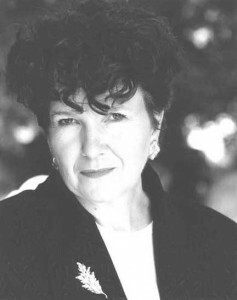 There is a dark morality woven into the play, the self-same theme that the novel of Dangerous Lady carries as a striated motif – violence and evil often create their own violence and evil, cancelling out the original deeds in a form of equalization. Though there is much darkness in the proceedings, I was delighted to see some of the best and wittiest ‘one-liners’ from Martina’s debut make it onto the stage in East London. It is the suffusion of gallows humour, mainly via extraordinary dialogue that balances out, and makes the scary and visceral aspects bearable. The whole play zips by as fast as the gunfire that echoes in the auditorium. In fact the two acts of Dangerous Lady, move so fast, that one scarcely feels the movement of time, though the team from Stratford’s Theatre Royal are well versed in the distillation of Cole’s thematic novels, having previously cut their teeth on previous works by this bestselling writer of “Two Women” and “The Graft”. One aspect that is rarely mentioned about Martina Cole and her work, is how much compassion there is in her stories, something that is not lost in this theatrical adaptation; like her refusal to be judgmental about the myriad aspects that make up human nature. Though she rarely talks about it, I would like to point out that Cole supports many charities as well being a patron of the arts. It was over a decade ago that I discovered that she works with women in prison [especially the desperate mothers] from Africa and South America coerced into being ‘drug mules’ to support their families, now incarcerated in British Jails. Whenever I ask her about this, she always changes the subject and blushes. Personally I am amused and perplexed by the dichotomy in the response to Martina’s work, because she is second only to J K Rowling in terms of sales in the UK but receives very little literary acclaim for her work. Perhaps there is some snobbery at play here, so to see her work set against a theatrical back-drop is a form of vindication. 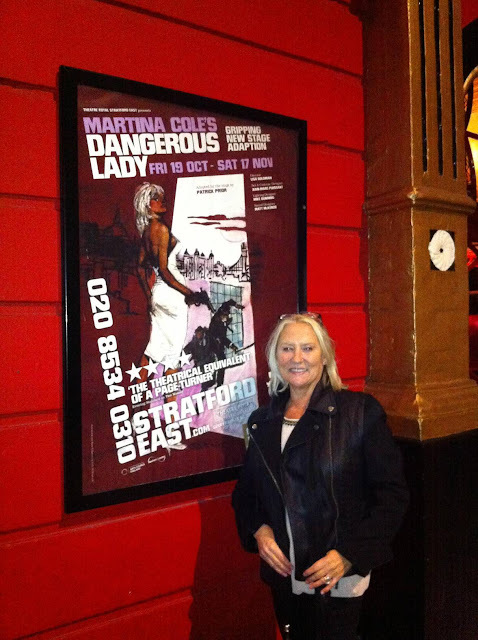 When it comes to assessing the literary talent in the work of Martina Cole, her popularity is built upon by her own hard blue-collar work ethic, her skill as a storyteller and her generosity to those less privileged – with her ability to remain as grounded as she was when I first met her. She tells it like it is, a phrase that seems made for this gritty novelist who reveals the inner workings of the dark-side of the blue-collar world, a world that she understands and relays with an unflinching eye. I was delighted to see her literary agent, the legendary Darley Anderson [who discovered Cole’s talent] as well as Jane Morpeth Managing Director of Headline Publishing in attendance, and together we all managed to have a drink with Martina, during the intermission. We raised our glasses and passed a toast to the versatile and prolific actor Herbert Lom who passed away recently, and reminisced at how a decade ago we managed to talk to him, and get a photo taken with him at one of the Crimescene London Film and Literature Festivals managed by Maxim Jakubowski and Adrian Wooten at The National Film Theatre. One thing I admire about Martina Cole is her unpretentious approach to crime writing, and how despite the fame and profile she has attained; she remains the same woman I met so many years ago. She also epitomizes an observation I have found in my many years of interviewing and reviewing the writers that make up the darkest edges of the genre. The darker the imagination, the more generous and amusing, as well as modest [and grounded] is the writer, in my experience. Dangerous Lady runs until Saturday 17th November, and we’d urge you to make time for a visit, because it is a spectacular production, and one that will make you ‘think’. 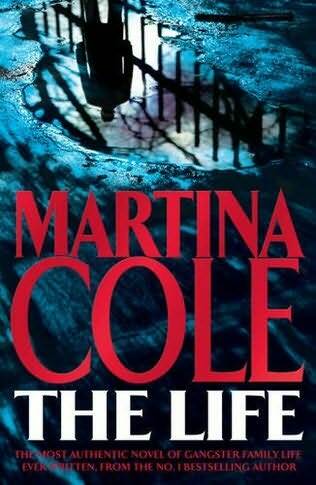 If you’ve not read Martina Cole, then ‘The Life’ is a good place to start, as her work reveals what lurks beneath the veneer that we call ‘society’; one that we only glimpse when we walk away, often to the muffled echo of gunshots, or a scream from behind us. Cole writes about the world that many of us pretend does not exist, but one that lurks a few microns below our own reality. Chris Simms talks about Scratching Deeper! 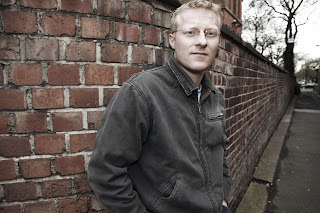 Today’s guest blog is from author Chris Simms. 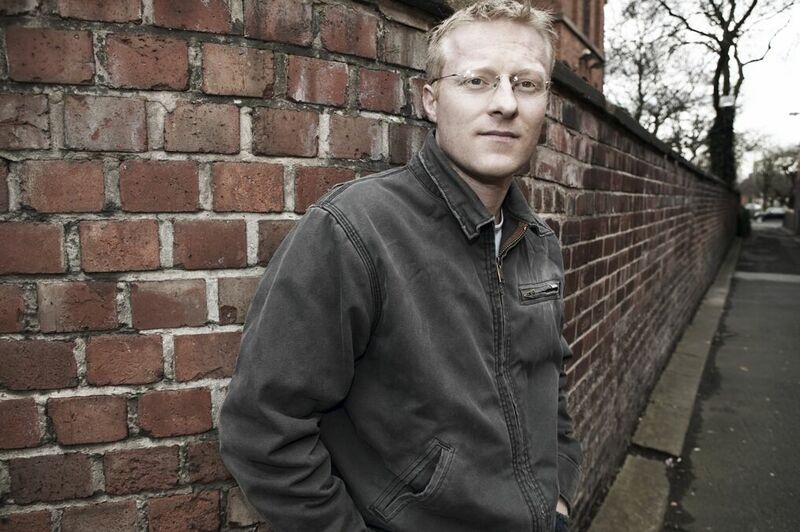 Chris is the author of eight Manchester based crime novels his most recent (and ninth) Scratch Deeper is released today. He is also the editor of the CWA’s sister site the Crime Readers Association. He has written six books in the DI Jon Spicer series. His second book in the DI Spicer series Shifting Skin was nominated for the Theakston’s Crime Novel of the Year. The action in Scratch Deeper begins after the Unit receives a tip-off about a planned attack on the city. It’s tense, it’s fast moving and it takes you into the dark and forgotten tunnels that run beneath the streets of Manchester. I watched the TV with fear in my eyes. On screen, the conference in Manchester played itself out. I didn’t care about what was being said. I just stared apprehensively at the politicians on stage thinking, if a bomb goes off beneath them, how long before the Counter Terrorism Unit arrive at my house? I got up and anxiously paced the room, pausing to check the street outside. No anonymous van parked opposite, its dirty windows concealing an observation team. No engineer appearing to fix a streetlight while really rigging up a camera. Of course, that was the obvious surveillance stuff. I knew they also sent people into suspect’s homes. Ten minutes. That’s all a CTU operative needed to attach listening devices in plug sockets, miniscule cameras behind skirting boards. I thought I was being followed the other day. A blue car that seemed to be mirroring my route through the city. So when I reached a roundabout, I didn’t come off: I just kept circling the central island and glancing back, knowing no vehicle could do the same without me spotting it. Or should I keep my silence and wait for a solicitor? Trouble was, I knew that under the Prevention of Terrorism Act 2005, they could spirit me away for several weeks before accusing me of anything. During which time, they’d break into the garden shed I use for an office. They’d find the files on my computer; the information I’d gleaned from the internet on how to make a bomb. Christ! I squeezed my eyes shut: they’d come across my interviews with police officers who preferred to remain anonymous. Interviews containing snippets about security operations. Things, which no member of the public should know. 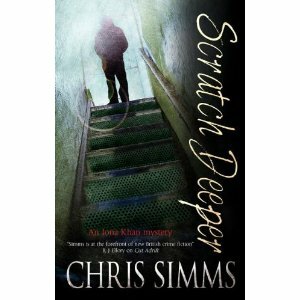 Chris Simms’ latest novel, Scratch Deeper, is out on Friday, 26 October. Published by Severn House. More information about Chris Simms and his work can be found on his website. THE MURDER QUADRILLE – how it came to be! Today's guest blog is by author and actress Fidelis Morgan. Fidelis is best known as the author of the Countess de la Zouch series. Here she writes about how she came to write her latest novel The Murder Quadrille. I started writing books at 5 years old. I wrote plays too, painted the scenery, composed the music and played the main parts. I have always loved doing everything and on top of working as an actress, I always wanted to write novels professionally. But I got waylaid. I told someone about a discovery I had made: women, hitherto thought to be absent from literature before Jane Austen, were writing plays professionally 150 years earlier. Then I said ‘someone should write a book about it.’ But as I was the only person who knew about it, only I could write that book, The Female Wits. It was a publishing sensation. Then I was asked to write more non-fiction books about 17th/18th century women. I was constantly called to print, TV and radio to talk about them. But I wanted to write novels, not be consumed by a subject I had only got into by fluke. So one day when Woman’s Hour phoned I replied. “We got a divorce.” I was moving on. Shakespeare was allowed to do it, so were Charles Dickens, Graham Greene and countless others. We may know Arthur Conan Doyle only for Sherlock Holmes, but he also wrote sci-fi, poetry, historical fiction, novels and plays. However, in modern publishing, changing genre is forbidden. Even a slight shift provokes concern. Ruth Rendell had to invent a new name simply to write a slightly different type of crime novel – she wasn’t even moving out of her genre. So my first jump – from history into fiction - was a huge one, but, in order to satisfy demands, I stayed within the period for which I was already well known, the late Restoration, 1699. I adore my Countess series, and that world is to me, after all those years of work on the period, as comfortable for me as my own living room. But so is the world I actually live in and when new ideas bubble up I cannot resist grabbing them. I had an idea to write a contemporary novel using multiple narrators (some of them with quite horrible personalities) passing the narrative along, as though in a relay race. I also wanted to attempt to lead the reader along, while repeatedly reversing their perceptions and sympathies. While doing all this, my overriding intention was, as usual, to keep people on the edge of their seat, and make them laugh too. Patricia Highsmith’s Woodrow Wilson’s Necktie. I was in awe of how in a few pages she completely twists round the reader’s take on events. The work of Wilkie Collins. I love his use of multiple narrators. In The Woman In White I am particularly fond of the hypochondriac uncle and love how, despite his being so vile, you want more of him. 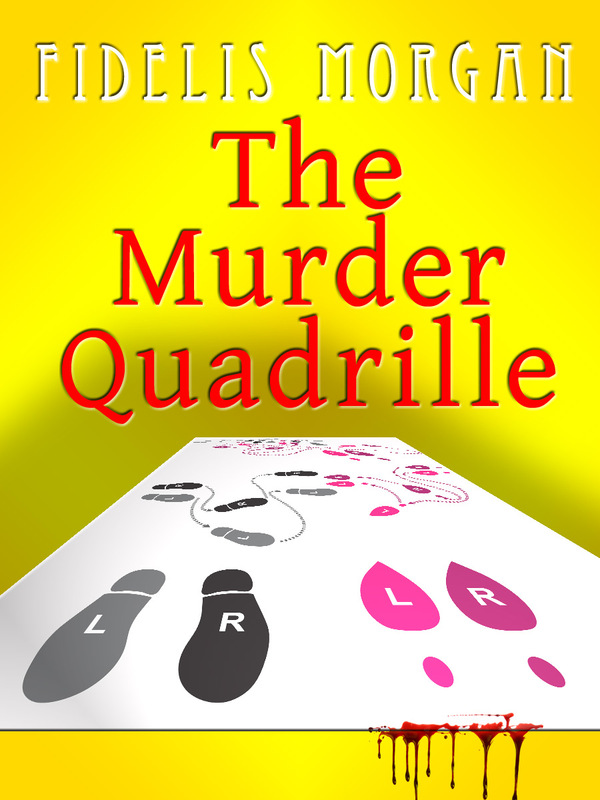 I finished writing The Murder Quadrille and started the practical matter of getting the book published. It was not fun. I was firmly told that only series books and, in my case, only historical crime series books would be considered. After all my work, no one would even read it. However, I hate the word ‘No’, so I gave the novel to three world-famous crime-writers. They all told me they loved it. One of them, who never gives blurbs, told me to self-publish. It was too good to keep to myself, she said. 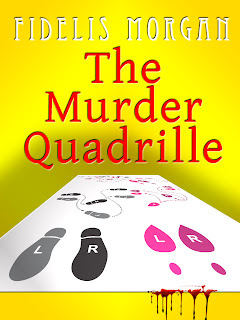 The Murder Quadrille by Fidelis Morgan is published in paperback on 25th October, £8.99. More information can be found about Fidelis Morgan and her writing on her website. Jo Fletcher Books, an imprint of Quercus, will be selling books at the 23rd annual Paperback and Pulp Book Fair, which will be held on Sunday October 28th 2012, 10:00 am – 3:00 pm at The Park Plaza Hotel, 239 Vauxhall Bridge Road, London SW1V 1EQ. Among the books available from the JFB table will be copies of the new anthology A Book of Horrors and the complete collection Curious Warnings: The Great Ghost Stories of M.R. James, both of which can be signed by award-winning editor Stephen Jones and acclaimed artist Les Edwards from 1:00 – 2:00 pm. Also signing is British fantasy author Adrian Cole, who will have a number of his own books available at special prices. As usual, a wide range of leading UK dealers will be offering 1,000s of SF, Horror, Crime, TV and Film-related and Western paperbacks, pulp magazines, comics and more! Admission on the door is only £3.00. The Awards Ceremony, hosted by Bradley Walsh, will be aired tonight, Tuesday 23rd October at 9pm with 2 repeats during the week. Viewing figures over the Crime season of the 5 episodes of ‘Crime Connections’ on ITV3 have been excellent, exceeding last year with a total audience of over 2 ½ m. Coverage of the winners was widespread and included prominent features in The Times, The Guardian and the Daily Telegraph. 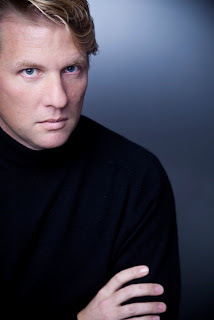 In the first of a series of conversations, author William Ryan talks to author Jason Webster. WILLIAM RYAN is the Irish author of THE HOLY THIEF, THE BLOODY MEADOW and THE TWELFTH DEPARTMENT (to be published in May 2013), novels set in 1930s Moscow and featuring Captain Alexei Korolev. 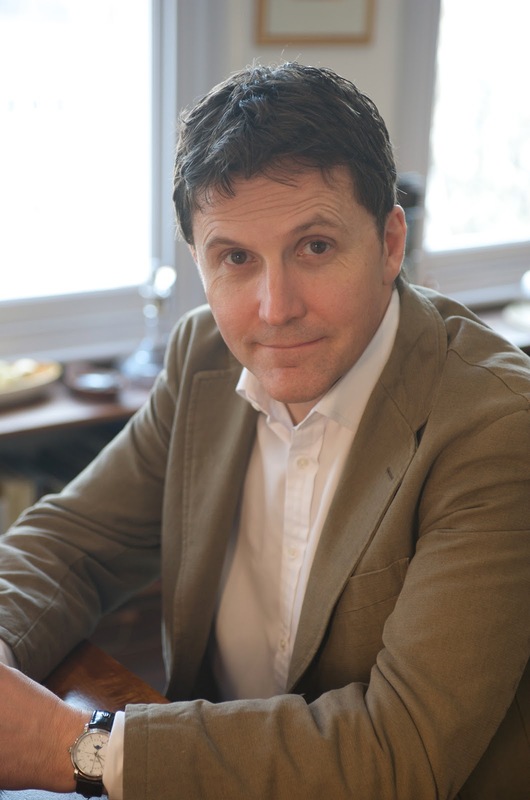 William’s novels have been translated into fourteen languages and shortlisted for The Theakstons’ Crime Novel of the Year, The CWA Specsavers Crime Thriller Awards, New Blood Dagger and the Kerry Group Irish Fiction Award. He lives in London with his wife and son. JASON WEBSTER was born in California and was brought up in England and Germany. After living in Italy and Egypt, he moved to Spain in 1993, where he wrote a number of highly acclaimed travel books including DUENDE: A JOURNEY IN SEARCH OF FLAMENCO and SACRED SIERRA: A YEAR ON A SPANISH MOUNTAIN. 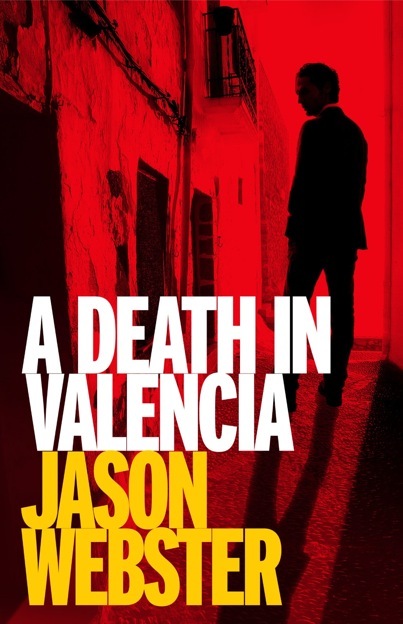 His first crime novel, OR THE BULL KILLS YOU, was long listed for the CWA Specsavers Crime Thriller Awards, New Blood Dagger and was followed by the equally acclaimed DEATH IN VALENCIA. The third in the series, THE ANARCHIST DETECTIVE, will be published in 2013. Jason lives near Valencia with his wife, the flamenco dancer Salud, and their two sons. WR: Your first novel, OR THE BULL KILLS YOU, came out last year and introduced an appreciative readership to Max Cámara, a non-conformist Spanish detective with a penchant for food, women and marijuana - in no particular order. Your second novel, A DEATH IN VALENCIA, finds Max investigating the death of a famous Paella chef as his world, literally, crumbles around him. Can you tell me a bit about how you developed Max as your protagonist - did he come fully-fledged or did he change as you wrote him? JW: It's funny that you call him 'Max', as that's what I usually do when I'm thinking or talking about him, as though he were a real person (of course he is...). It's a little strange, then, when I come to write about him to refer to him with the more formal 'Cámara', as though putting him at a certain distance. In answer to your question, he came more-or-less as a fully-fledged character. I deliberately made the decision not to be too cerebral or rational about who my main character was going to be. I allowed myself to sit back, as it were, and let him reveal himself. And that's how he emerged. Physically I saw someone resembling the actor Javier Bardem, with a powerful presence about him but with a sensibility and certain fragility as well. Certain aspects of Max reveal themselves to me as I'm writing, however. It's not all clear-cut. I remember a comment by Michael Dibdin saying something similar about his character Zen, that throughout the books he was exploring the personality of his main detective. I feel the same - as when you discover greater complexities about a friend the more time you spend with them. Max is out there, somewhere, and I allow him to show me which way the series should be going, and to reveal something more about himself as we progress. WR: You mention Michael Dibdin whose Aurelio Zen series is, of course, set in Italy and who you've been compared to more than once. Were the Zen novels an influence? JW: Yes, I think Dibdin was/is an influence. I remember reading his books and feeling that he had really nailed Italy. I'd lived there myself for a few years, and it felt as though he were taking me back, as though I were walking the streets alongside Zen. So perhaps that was the moment when the seed of an idea was planted - that good, thoughtful crime novels could be set in a contemporary Mediterranean country. The thing with the influence of other writers, though, is that it tends to work on some subconscious level. You don't think, Oh right, I'm going to do this bit like so-and-so, unless it's a deliberate pastiche. And then there's the whole question of how much you should draw from other books when it comes to your own writing. I've always been impressed by a comment by Keith Johnstone in his book Impro: 'Writing comes from life, not from other writing.’ He realised this when reading drama scripts sent to the Royal Court Theatre during the 60s. Most of them went into the bin and were never staged, because, he thought, they were pseudo-Pinter, pseudo-Beckett and so on. Only the writers with original voices got their plays done, and they were the ones who drew their inspiration from the world around them more than from what they had on their bookshelves. And so it is with novels or any other kind of writing. What you read obviously has some bearing on what you write. But at the same time it needs to be kept at a distance, never influencing too much. Or at least that's my experience. WR: I've certainly read a lot of fiction and non-fiction set in the period I write about and most of it was very useful. But as I was born in 1965 and the Korolev novels are set in 1930s Russia, I probably didn't have much choice. 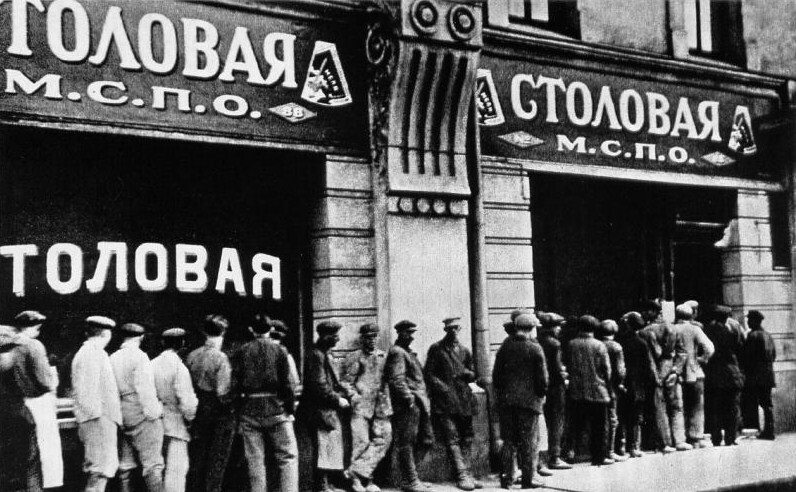 Even understanding how the Soviet Union worked was a challenge given the closest contact I'd had with communism was riding a bicycle the length of Vietnam - an experience which probably wasn't that useful when it came to describing a Moscow winter, or understanding Stalinism for that matter. The good thing about reading a lot, and doing a great deal of research as well, is that individual influences and sources tend to disappear into the crowd – if that makes sense. So while I'm probably a bit of a magpie, particularly when it comes to period details and dialogue, it all gets blended into the fictional world I construct for my readers in the Korolev novels. 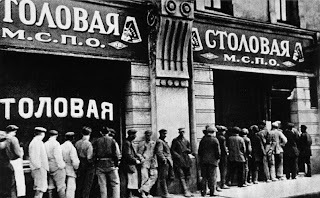 And that fictional world is, I hope, something that feels real to a reader and gives them a unique insight into what life was like during Stalin’s Great Terror. But you live in Spain and you've written widely about Spanish culture and history – about the legacy of the Spanish Civil War, flamenco and Spain’s Moorish history. It’s probably why the Camara novels feel so authentic and why there’s such a sense of Spain’s past running through them, even if you seldom address it directly. With four non-fiction books about Spain - were the Cámara novels the logical next step? JW: In hindsight the Cámara novels were a logical step, you're right. I find Spain to be an endlessly fascinating country, one which I've lived in now for most of my adult life. And there is so much to explore and get to know about it that I think you'd have more than a lifetime's work if you wanted to. So writing about flamenco, the Spanish Civil War, the Moorish legacy etc. was all part of a process of discovery for me. 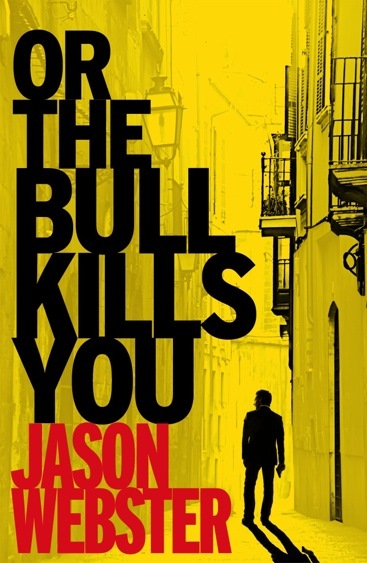 This then continued into the crime novels in many ways, particularly with the first in the series - OR THE BULL KILLS YOU - which takes a look at bullfighting. Also, by that point I'd been living in Valencia for about ten years, but had never written about it, and so I wanted to say something about my adopted home town. It has been largely ignored by other writers on Spain and was even dubbed 'the world capital of anti-tourism' at one stage because it was so uninviting to foreign visitors. That has changed, and it's now very colourful and pretty. But the recent face-lift its undergone has come at a heavy price. Local politicians are notoriously corrupt, and now, with all the recession and economic crisis, Valencia has become a by-word internationally for all that has gone wrong with the country. And with everything that's happening in Spain at the moment - there is a palpable sense as I write these words that the place is falling apart - I do tend to see things in their historical context - the 'long view' as it were. History weighs heavily here: the same tensions, the same narratives seem to be played over and over again, whether it's the Left-Right divide that was so apparent in the Civil War, or the various regional identities pulling away from Madrid and trying to create independent mini-states, as Catalonia is now trying to do. 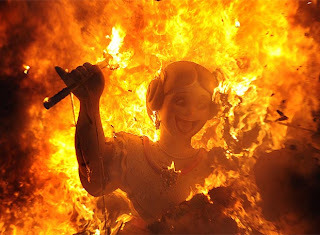 This kind of thing has been going on in Spain for well over a thousand years. Even the Moors suffered the same kinds of internal problems. As for addressing these things directly - they're in the background for the first two books in the series. The third one, however, which will be coming out next year - THE ANARCHIST DETECTIVE - deals with the past in a much more head-on way. WR: It seems to me that that being an outsider helps you a great deal when describing Valencia - your descriptions of the place and its people feel very real but, at the same time, you have an objectivity, which makes them seem fresh as well. I'm curious that your next novel THE ANARCHIST DETECTIVE deals with Spain's past "head-on" because it seemed to me that the first two novels, even though very modern, have plots that stem from Spain’s history - the bull-fighting and its traditions and values in OR THE BULL KILLS YOU, of course, but also the Catholic church and Spain's very recent fascist past in DEATH IN VALENCIA. I suspect you're going to tell me that you don't work out themes for your novels in advance and I don't either, as it happens, although many writers do. But I wonder if, looking back now, you're aware of a direction that the Camara series is heading in and of a general theme or themes - and how deliberate they were. JW: I certainly did have a theme in mind when I wrote OR THE BULL KILLS YOU - it was bullfighting (obviously). After I'd finished, and my mind was turning to what came next, I fell into the trap of thinking that all I needed to do was come up with some other big Spanish theme (say the Pilgrimage to Santiago) and then base a novel around it. In fact I even drew up some ideas for a Cámara novel around that very subject. But it felt wrong, very forced. So I left it for a while. Then my editor gently and wisely said, Why don't you let your characters tell you what comes next? So I did, I listened to Max, essentially, and where he wanted to go. And that was how A DEATH IN VALENCIA came about, or certainly much of it. The whole subject of abortion (which is a very live issue in Spain at the moment, by the way) comes directly from what happens to him at the end of the first novel. So I hope I learnt my lesson - don't put the 'theme' first. In the end your characters are what drive things - that's the human truth that holds up the narratives. That said, I did put in some information about paella in A DEATH IN VALENCIA, because it's so fundamental to understanding the culture of the city. But perhaps in some ways that was the character of Valencia itself telling me what it wanted included in the second book. I'm very interested to hear that you don't work out your themes in advance. I'm sure it's the right way to go about things - 'listening' rather than dictating - but the temptation must surely have been there, given the time and place that you're writing about - Stalin's Russia in the 1930s? WR: Certainly there are themes but I don't think I consciously thought about them - I suppose the setting and the fact that THE HOLY THIEF was a crime novel meant it was inevitable I'd end up writing about the nature of justice and truth in a society that considered them subservient to the State's political needs - and the ways an ordinary person might have to compartmentalise their life and compromise their beliefs in order to survive. It's an interesting thing about series though - I think the themes probably recur through the novels because the settings and characters remain the same, more or less, but I think it's also true that successful series focus on different sub-themes in each novel, as you've done incidentally. I don't know how you feel about bull-fighting, probably the way Camara feels I suspect, but I found the history and tradition around it that you describe absolutely fascinating, and how modern pressures were undermining what hadn't changed much in centuries. In fact, I wonder if it isn’t a theme that runs through both novels. And then I think it's interesting what you do with buildings and the role they seem to have in the books - the police station, for example, that was meant to be an art gallery and seems ill-designed for either purpose, the old parts of the city that are threatened by shiny new developments, the apartment block Camara lives in that's falling down around his ears, even the final chase scene in DEATH IN VALENCIA takes place across disintegrating roof tiles. It seems as if the old and the new are crumbling around Camara and I was wondering whether it was something you'd planned or if it just came about in the writing. JW: That's a really interesting observation. I hadn't noticed it myself - certainly not about the disintegrating roof tiles. But now you mention it, yes, I think buildings probably are important. Certainly, when I was writing about Max's flat falling down, it was meant as a metaphor for his internal world crumbling as well - the structures that hold his identity in place. In many ways there is an arc stretching over the first three books in the series concerning Max's quest to discover who he really is. So A DEATH IN VALENCIA revolves around him losing a superficial, conflictive identity he's built up for himself so that he can find something more substantial and real in the following novel. Similarly for the police HQ in what was meant to be an art gallery - firstly it wouldn't be beyond the realms of possibility here. But also I wanted to create a sense of dislocation, of a country that on the one hand admires institutions like the police, yet on the other feels uneasy with them. You only have to see recent footage of riot police attacking demonstrators to understand how fraught the relationship between the authorities and the people can be. Also art and culture are incredibly politicised here - to an extent that I could never have imagined before. So the police taking over a museum... there's another metaphor in there somewhere. It comes back to your point about a clash between history and the present. Something similar is happening to Spain as a whole right now - it's effectively going through a kind of identity crisis. For a long time after the Franco dictatorship that question was taken care of - a sense of identity came simply through a rejection of what had come before. But Franco has been dead for almost 40 years now, and rejecting what he represented isn't enough anymore. So what is Spain? Where is it going? Max is asking himself very similar questions, and it's largely to do with a failure to digest events in his past. Too many people in Spain refuse to contemplate what happened in the Civil War, while others only want to reopen old wounds for political gain. Few, it seems, are talking about being honest about the past in order to learn from it and get over it. So, sadly, I think this country will soon be repeating its history. Perhaps not a fully blown civil conflict, but conflict of some sort. I think that's a possibility. WR: You must have started writing OR THE BULL KILLS YOU in 2009 , if not before, and if we look back at that time period in Spain, it's been pretty traumatic and it sounds as if you think it's likely to become even more traumatic still. How do you think that's going to influence your writing? WR: You've mentioned THE ANARCHIST DETECTIVE, the third in the series, is already finished. How are its predictions holding up so far and, more importantly, when will we see it in our local bookshops? JW: The book holds up well, I think. I've just finished reading the proofs and there was nothing there that felt out-of-date. But there's little specifically about the current situation in it - Max is busy dealing with old wounds from the past, and the killing of his great-grandfather in the Franco period. All that is still relevant - perhaps more so now given the present political and social tensions. I'm assuming the book will be coming out in the UK in June of next year, then hopefully in the US the following September. One thing I wanted to ask you - I've always had great respect for historical novelists. Not just because of their command of the physical details of their period, but also the way in which they get inside the mindset of that time as well - something I think you pull off incredibly well. How do you research this more invisible side of the history? Has your understanding of the period grown with each book? Does THE TWELFTH DEPARTMENT differ in this respect to the previous books at all? WR: Certainly my understanding of the period has grown with each book – probably because with each book I add another layer of research to what I started out with. But the invisible side - the atmosphere, the way people interact and how everything connects to create a believable world – that’s where the creative side of historical fiction comes in. You can’t write believably about a period unless you’ve done the grunt work but, at the same time, as long as you know what you’re talking about, most readers doesn’t necessarily want to have too much explained to them as it gets in the way of the story. But, if you’ve done the right kind of research into how people interacted during your period then at a certain point the characters start to become real of their own accord. That’s probably not a very good explanation – but I really do believe that if you have a good fictional character, there’s only one way they can think, talk and behave. In other words they begin to live, at least on the page. David Suchet talks Poirot and Me!